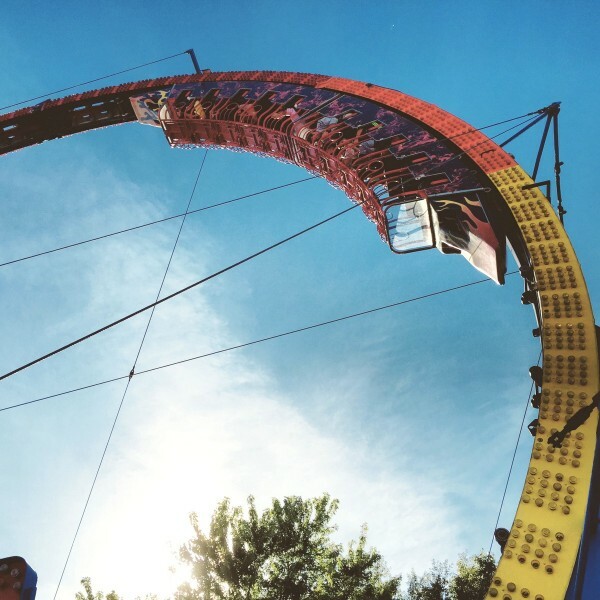 Skywarp, a new ride concept from Skyline Attractions, takes the circular “Larson Loop” flat ride to another level — and doubles it. According to the ride animation below, Skywarp would feature two separate “trains” that traverse the pretzel-loop style track layout. The two trains would intersect where the track crosses. Riders would sit back-to-back, allowing all to experience the ride forward and backward — and see the other train as they cross one another. Like the Larson “Fireball” rides, it appears that Skywarp is not a roller coaster, as it would not be powered by gravity. Rather, the trains would be affixed to a powered moving track. But nonetheless, it would make for a striking addition to any park skyline (and it would certainly be fun to watch). Skyline Attractions, founded in 2014, designs innovative rides and ride-able midway-style games. For more information, visit the company’s website. Which park do you think would be a good fit for a Skywarp ride? Share your thoughts in the comments section below. Looks very hard to do maintenance on. But very fun to ride. Intresting how they used the Santa Cruz beach boardwalk as the background. More specifically where they are planning to build a new ride or rides for 2017 and the boardwalk said that their new ride won’t be a Larson super loop. But this isn’t a Larson and would I think would fit well at the park. So coincidence? Skyline’s proposed Skywarp ride concept could give Larson’s Super Loop a run for its money… assuming the right park (be it in North America or somewhere else in the world) is interested in buying and being the test park for such a ride. Really cool concept, but I don’t really see it catching on. The lines would probably be really long and I can see it having lots of downtime.